Almost 100 participants from more than 10 different countries gathered @ TTU IT College for the weekend to tackle Cyber Security problems and to bring innovative and impactful solutions to the field. Cyber Security has been a very hot topic over the past years, more and more cyber attacks have been happening all over the world affecting millions of people. Therefore, it is our responsibility to find new solutions and to protect our data from upcoming threats. 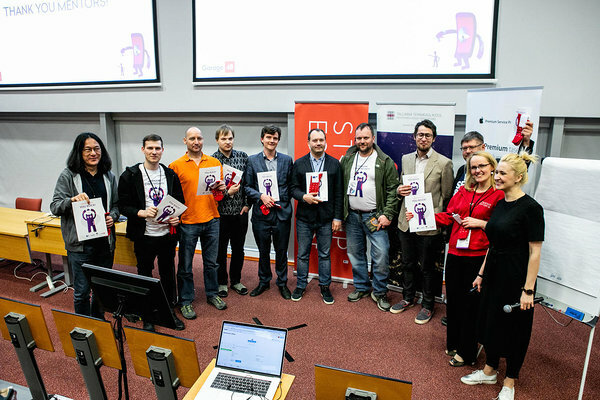 For this reason, Garage48, Startup Estonia and British Embassy joined hands for tackling these issues and by bringing fresh approach to the Cyber Security community. 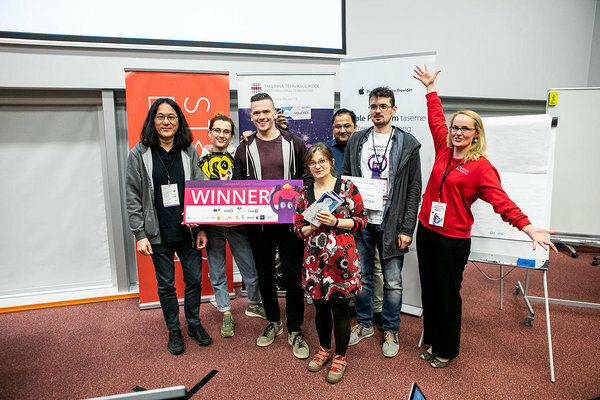 19 fresh, relevant and interesting ideas were pitched on Friday evening, out of which 9 teams were formed and 8 of them made it through the hard-work, sleepless nights, sweat but also amazingly positive energy to the Sunday night pitching. They are developing a smart way of managing post data breach chaos. It will be an app that will merge database of contents and other bodies + users and is targeted to companies who are processing data. “The winner had a good business proposition, great team-work and clear idea of what they need to develop,” said the mentor David Chan. 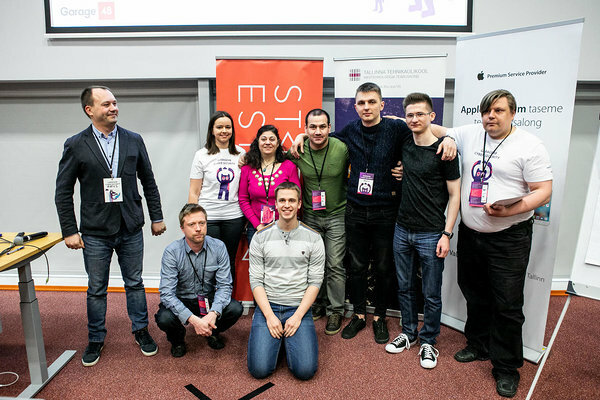 The winning team member, Mārtiņš Barkovs said that they saw the problem of the GDPR crisis that is taking over the European Union right now, is that almost nobody completely understands what it is and how to become compliant with its rules. “Well that's what we are planning to tackle - helping people to be at ease when it comes to actual data breaches!” he added. Their idea is to help organizations who process sensitive data to exchange it in end-to-end encrypted way. 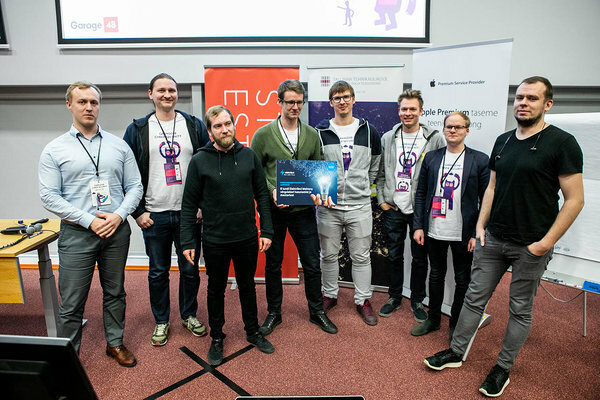 Team: Jukka Hassinen, CEO; Thales Ribeiro, back-end; Roman Hrushchak, front-end developer; Denis Rästas, front-end developer; Andreas Vija, front-end developer; Petri Heinonen, System Administrator; Kateryna Grygorenko, business development, branding and marketing; Orge Edgu, business development, branding and marketing. NayFUD allows small enterprises to make smart information security investment decisions. In 2020 there will be 21 billion connected devices surrounding us in our society. Most of those devices are vulnerable to different type of attacks. SIOTA a solution to solve that problem by using a sensor and an algorithm that makes IoT more secure. But Garage48 could not have done it all without wonderful, experienced and amazingly supportive mentors. Warm hearted thank you’s to David Chan CEO @Cyber startup, EiR @CyLon; Kieren Lovell, Head @Computer Emergency Response - University of Cambridge; Oliver Sild, Co-Founder & CEO @ WebARX, Calum Cameron COO @Investly ; Refman Zafar Co-founder @Verimuchme; Andrus Padar, Chief of Estonian Defence League’s Cyber Unit; Kirils Solovjovs, IT security expert and lead researcher @Possible Security; Hans Metsoja, Security engineer @Proekspert, Karen Burns Consulting Director - Cybersecurity @CGI; Martin Verrev, Creative Engineer @Littlebit and others. 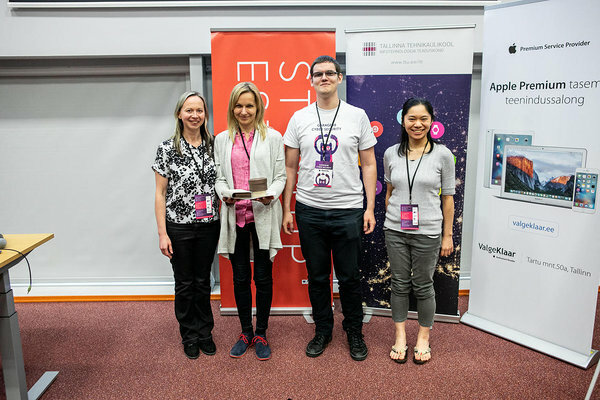 The event was organized by Garage48 in partnership with Startup Estonia and British Embassy in Estonia.